She is the winner of a weekend stay at a cabin in the beautiful Hocking Hills to be used in 2014. Thanks to everyone who purchased tickets. Your contributions will help many cats and dogs in the coming year. 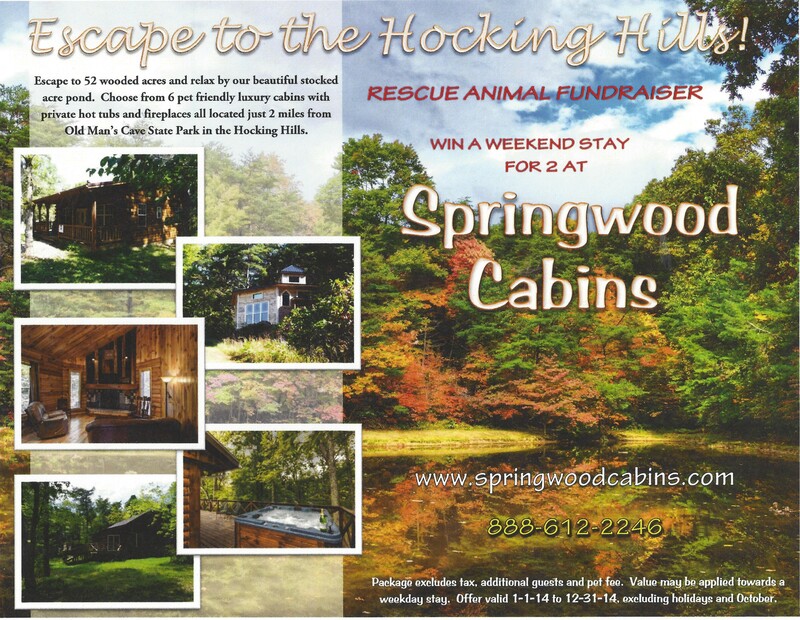 Also, Thanks to Springwood Cabins for their donation of the cabin weekend for this fundraiser.